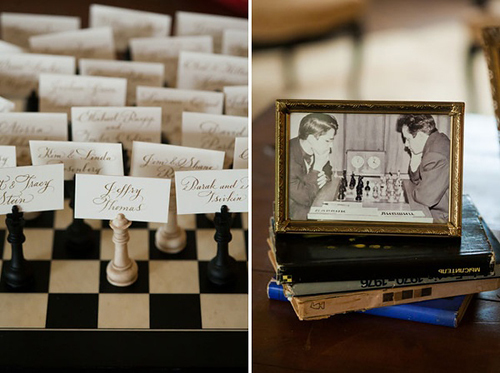 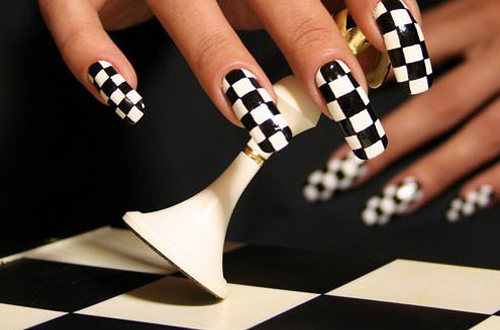 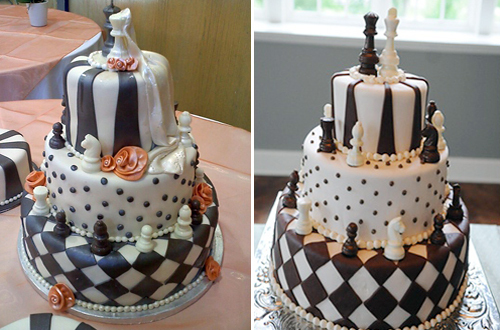 Add a twist to your black-and-white-themed wedding by incorporating a fun chess theme. 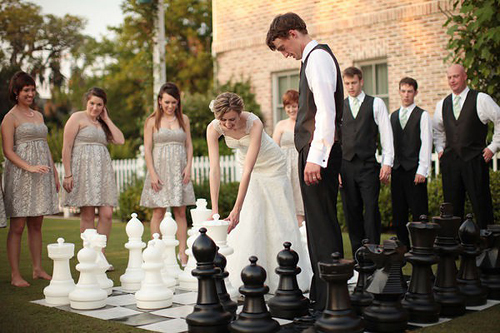 Whether you are both chess-lovers or simply spend your Saturday afternoons playing a friendly game, this theme is a great way to include your personalities and get your friends involved. 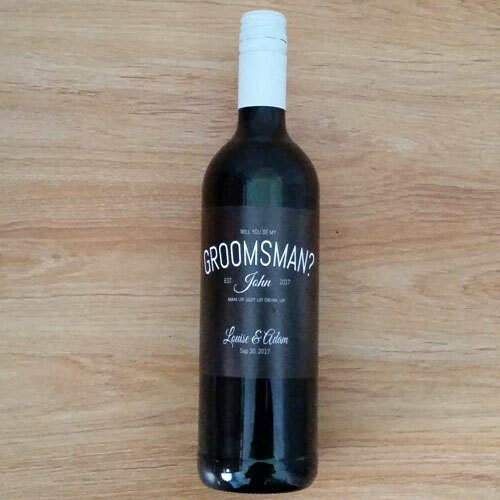 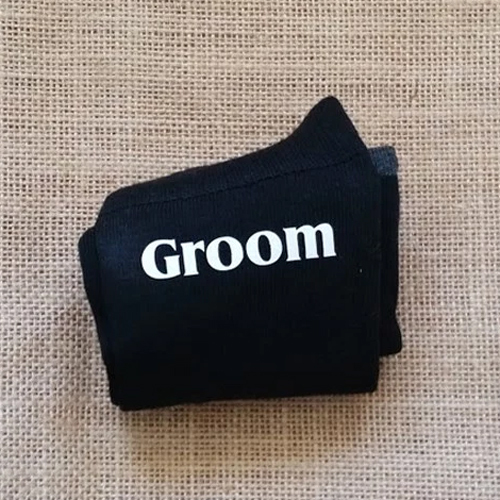 As with most themed weddings, you can choose whether you want to go all-out, with elaborate costumes and plenty of props, or you prefer to tone it down by sticking to the theme colours and a check motif. 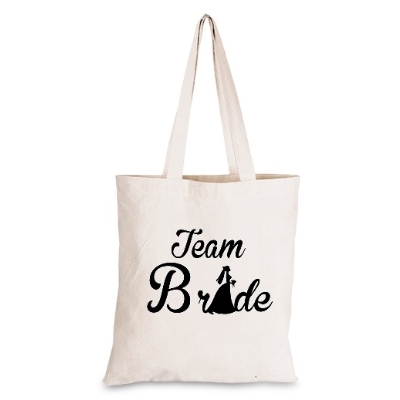 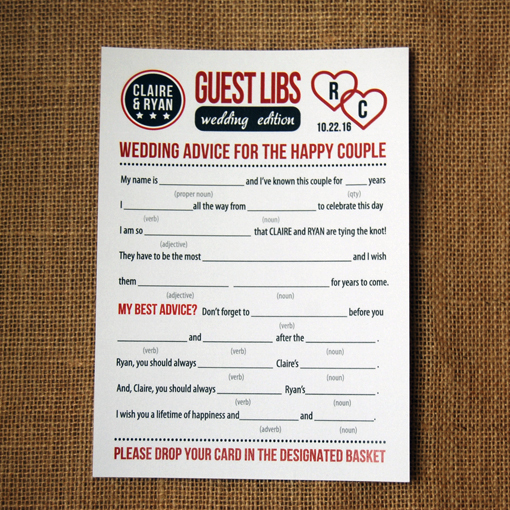 Even the latter option can be extremely effective, adding a combination of glamour and fun to your big day. 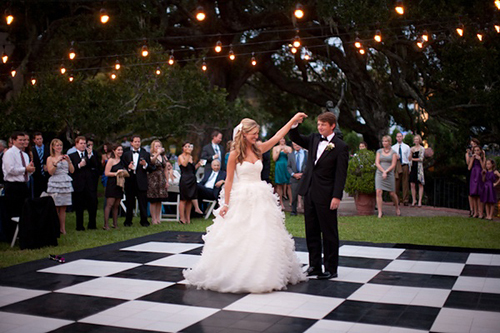 Lay a black-and-white checked dance floor. 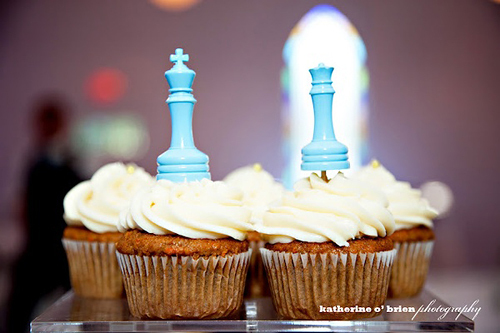 Hang small chess pieces as charms on the jewellery and cufflinks of your bridal party. 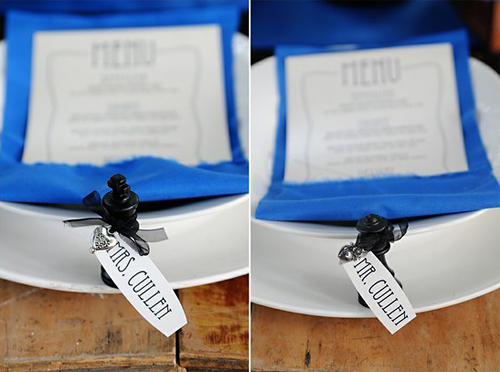 Opt for square tables and alternate their settings with black or white table cloths and the opposing colour plates and napkins (i.e. 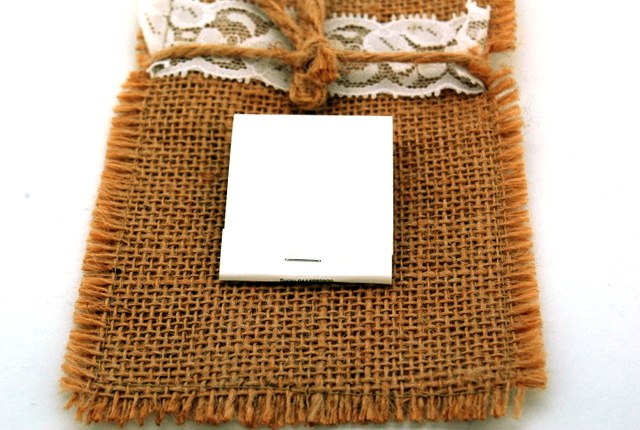 black table cloths with white plates and napkins and vice versa). 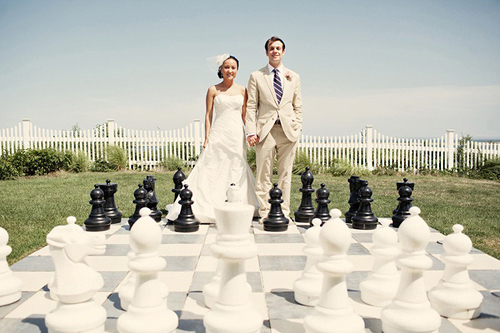 Hire a professional chess teacher to offer lessons to your guests while they wait for you to come back from having their photographs taken. 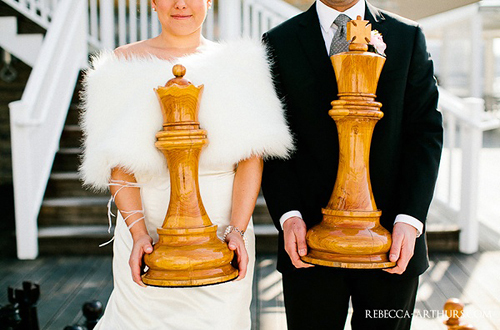 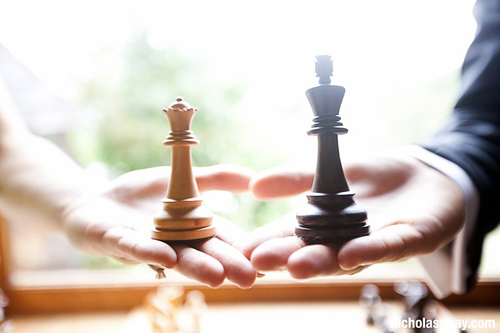 For the original photos from above as well as the credits AND more Chess Wedding Theme ideas, make sure to check out our Chess Theme Pinterest board!